Tasty treats from the Waterhouse Restaurant. The restaurant industry is a cut-throat one, so it’s nice to see that some restaurants care more about intricate plates than increasing profits. Here are our pick of 10 places that not only put out some top-notch nosh, but do it in a way that’s shows consideration for the environment and their community. We've compiled this by looking at the food sourcing policies restaurants adopt, charity initiatives they have been involved in and any special features which make them particularly eco or considerate. We've also used the excellent Sustainable Restaurant Association as a point of reference. Oh, and we've only chosen places we’d like to eat at - what’s the point otherwise? Open weekday daytimes, the bright and airy Clerkenwell Kitchen cafe puts produce at the heart of everything it does. A compact list of suppliers provide different ingredients each, the owners Emma and Laura going out of the way to seek out the best of the best. The vast majority of ingredients are organic, all the meat is free range, and the ever-changing menu is resolutely British and seasonal. English wine, London beer, locally roasted coffee and water straight from the tap ensure drinks don't let the side down. 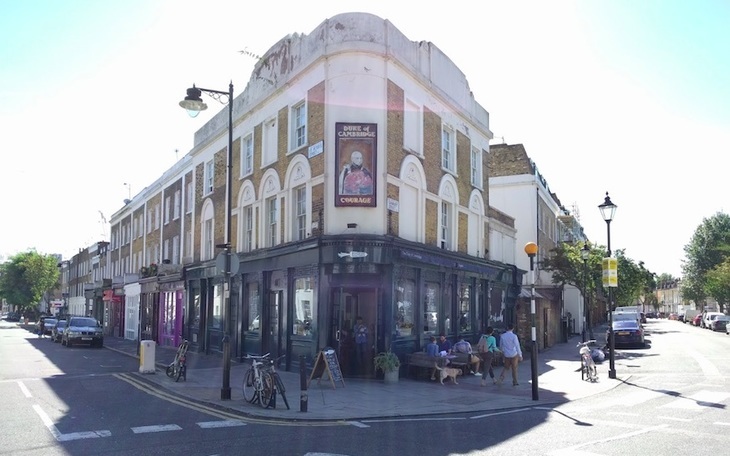 This Islington venue is London’s first wholly organic gastropub. The pioneering Duke of Cambridge pub. After 15 years of successful independent trading, The Duke of Cambridge organic pub has now teamed up with Riverford, the family-run farm known for its organic veg box scheme and farm shops. Game, foraged herbs and anything wild take a big place on the menu when in season, and their fish-sourcing policies are just as responsible. Bread and pickles are all made in-house to keep their carbon footprint as low as possible. You might think that careful fish sourcing is all a sushi restaurant needs to work on to be considered sustainable, but this small London chain works harder than that. They use sustainable bamboo chopsticks; almost entirely biodegradable packaging; they recycle leftover oil to be used as biodiesel; and work with farmers in the UK to grow produce usually only found in Asia, such as mooli and edamame beans. As for the fish, everything is Marine Stewardship Council approved, they push as much readily available British fish (such as line-caught mackerel) as possible, and they refuse to serve any varieties of which stocks are low, including common sushi fish bluefin tuna and eel. An East Dulwich neighbourhood favourite, Franklins uses only a handful of south England's best farms for its meat, and sustainable all-British fish for its daily-changing, ultra-seasonal menu. Traditional breeds of pig, beef and lamb are supported, and as much as possible are bred, reared and slaughtered on one farm in order to minimise emissions associated with transportation as well as giving them a better quality of life. All vegetables used are grown in Kent, bread is homemade, ales are local; there’s also a small on-site farm shop helping customers eat more ethical, local food even when they’re not in the restaurant. This restaurant at Kings Cross from chef Bruno Loubet has a maverick concept: it gives vegetables equal billing with meat and fish, meaning they're very often the star of the plate. This is good for sustainability in itself given meat production is considered to use far more natural resources than veg, but there’s more to it than that. 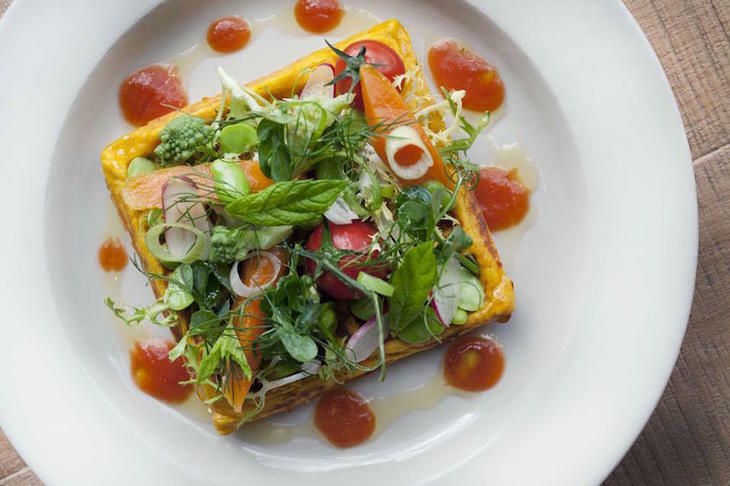 Sweet potato waffle with vegetable salad from Grain Store. Almost all meat used is organic and free range, the kitchen is fitted with state-of-the-art technology that monitors energy consumption, and half of the profits from sales of filtered water go to local charities. We all know that Hawksmoor's meat sourcing is top notch (it comes direct from The Ginger Pig’s free range Yorkshire farms) but all of the restaurants' eggs, milk and cheese are also carefully selected from sustainable British farms. At their Air Street restaurant where they also serve fish, sustainability stickler Mitch Tonks is tasked with ensuring the freshest Devon fish arrives daily. They also give a bit back to the community through their involvement with several charities, including Springboard helping unemployed youngsters, and global food initiative Action Against Hunger. 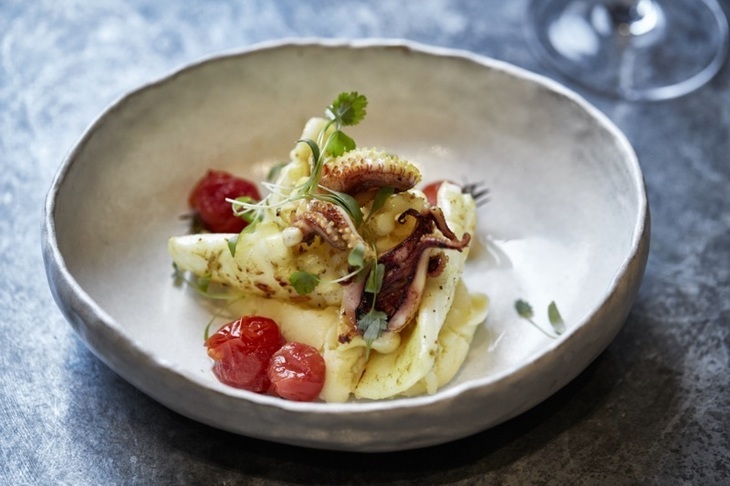 A weekly-changing menu helps keep The Modern Pantry branches in Clerkenwell and Finsbury Square fresh, exciting and, well, modern; it also means that only bang-in-season ingredients are used and carefully chosen selections mean there is minimal waste. The restaurants use the most local suppliers possible, including Newby Tea and Caravan Coffee who are both just down the road and deliver by hand to cut emissions, and makes their own pickles, jams and chutneys. The Modern Pantry supports numerous charities such as Action Against Hunger, and chef Anna Hansen has been a face of many a good cause. 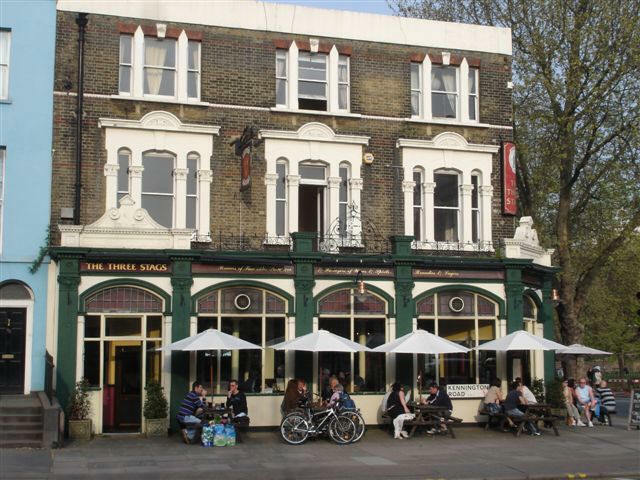 Kennington gastropub The Three Stags ensures it is at the height of sustainability in some pretty normal ways: carefully sourced produce, only using sustainable fish, stocking as many British ingredients as possible, not serving bottled water. They also have some more quirky initiatives; they are working with schools and local people to put to use vegetables grown in local allotments, have built a roof garden to grow leaves all year round, and installed a beehive on their roof to supply themselves with honey. The beehive is up top. They're also big supporters of English wine, the Fish Fight project and have been awarded a coveted 3 stars by the Sustainable Restaurant Association. 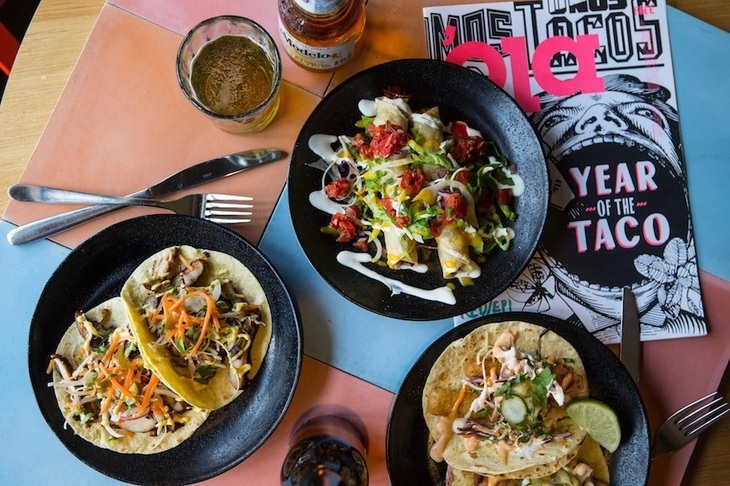 Mexican mini-chain Wahaca from MasterChef winner Thomasina Miers is vocal about its sustainable, environmentally friendly policies, but it really does put its money where its mouth is. You need only look at the menu to see the name of farms where meat is sourced, that fish is sustainable, and that veg is grown as close to the capital as possible. Even the specialist Mexican chillies used in their sauces and chutneys are grown especially for them by the South Devon Chilli Farm to cut down on imports. On top of this, Wahaca uses recycled materials in the fitting out of their restaurants and supports numerous charities and initiatives; Miers recently ran The Pig Idea which Wahaca was involved with. Owned and run by Shoreditch Trust, a charity which works to empower deprived communities in Hackney, Waterhouse runs a training scheme giving youngsters, who might not otherwise get the chance, an opportunity to enter the restaurant industry and gain experience. While this is a good reminder that restaurants can be considerate in approach without it all being about the sourcing of ingredients, Waterhouse has no problem in that department either. 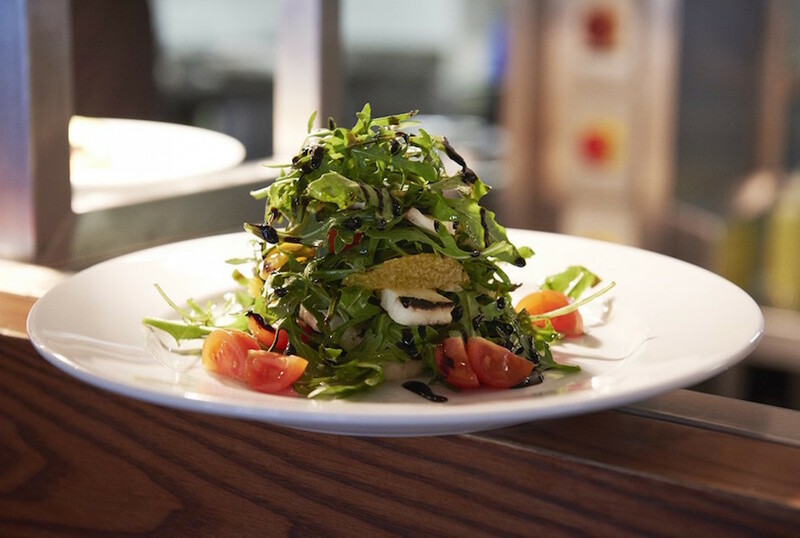 Local, organic and free range produce is used wherever possible, almost everything is British and the menu is constantly changing with the seasons. The kitchen it is cooked in plays its part, too: it's specially designed to be as energy efficient as possible. 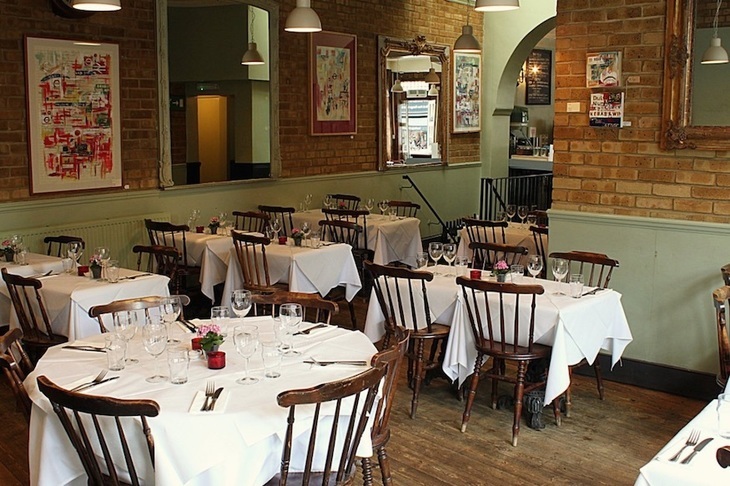 This article is part of our Best of London Food and Drink series. Visit the page for more recommendations of where to enjoy the capital's top food and drink, categorised by cuisine, food type and more.